Eventually algae settle to the bottom and decay, depleting dissolved oxygen in the water, creating hypoxia—“dead zones” where oxygen levels are low enough to kill fish. 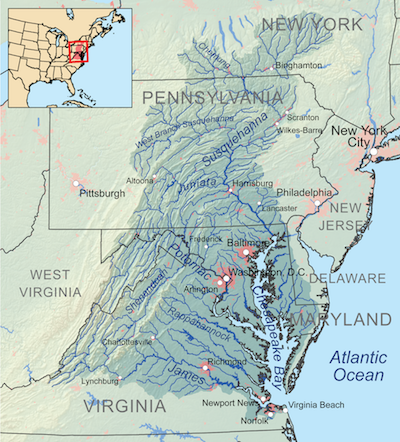 As a senior scientist at the National Oceanographic and Atmospheric Administration (NOAA) between 1975 and 2003, I developed annual hypoxia forecasts for the Chesapeake Bay and the Gulf of Mexico—two of our nation’s water bodies most harmed by these blooms. At the University of Michigan, I helped develop harmful algae bloom forecasts for Lake Erie and continue to work with public and private organizations on these issues. This year’s Lake Erie harmful algae bloom forecast has a severity index of 7.5 on a scale of 1 to 10. This is comparable to the three largest blooms since 2011, including one that made the city of Toledo’s tap water unusable for three days in 2014. The algae produced microsystin—a toxin that can produce effects from mild skin rashes to serious illness or death. The Gulf of Mexico forecast predicts an 8,185-square-mile dead zone—more than four times the goal set by an intergovernmental task force. 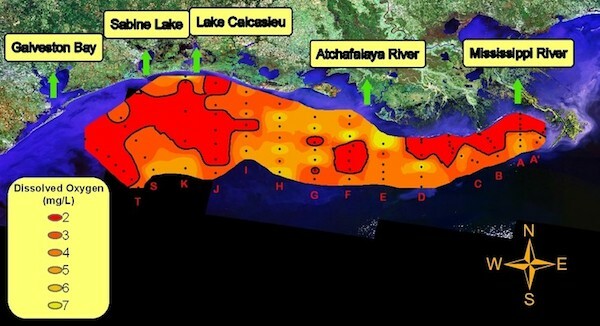 This will be the third-largest Gulf of Mexico dead zone since measurements began 32 years ago. The Chesapeake forecast predicts a 1.9-cubic-mile hypoxic region—nearly the volume of 3.2 million Olympic-size swimming pools. This is much larger than goals reflected in recent policies. Nonetheless, at least the Chesapeake is moving in the right direction. The amount of nutrients flowing into the bay is starting to decline. But harmful algae blooms and hypoxia resurfaced in the mid-1990s, probably because flows into the lake of a form of phosphorus that is readily used by algae tripled. The dead zone set a new record in 2012, and harmful algae blooms set records in 2011 and 2015. Even if blooms do not become toxic, they can have devastating effects. For example, the 2011 harmful algae blooms on Lake Erie cost the region nearly $71 million in diminished property values, water treatment, and lost tourism revenues and recreational opportunities. Now however, 71 percent of nutrients entering Lake Erie are from non-point sources—mainly from agriculture. Non-point source pollution comes from diffuse sources, such as fertilizer washing off of farms and lawns, so it is harder to control. But in the Mississippi River basin this approach has failed. In spite of more than 30 years of research and monitoring, over 15 years of assessments and goal-setting, and over $30 billion in federal conservation funding since 1995, average nitrogen levels in the Mississippi have not declined since the 1980s. 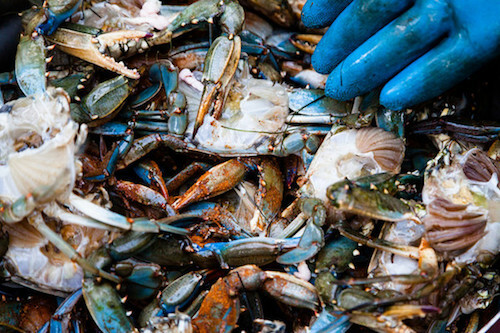 Frustrated by worsening conditions, the states asked EPA in 2010 to establish a total maximum daily load—a “pollution diet” within a regulatory framework under the Clean Water Act that limits the amount of nutrients and sediment that can enter the bay. Bay states and the District of Columbia then developed implementation plans and management strategies detailing how and when each jurisdiction would meet its individual goals. Disclosure statement: Donald Scavia receives funding from the National Science Foundation, National Oceanic and Atmospheric Administration, Environmental Protection Agency, and the Erb Family Foundation. Donald Scavia is Professor of Environment and Sustainability and Professor of Environmental Engineering at the University of Michigan. Between 1975 and 2003, he worked as a senior scientist at the National Oceanographic and Atmospheric Administration (NOAA).